Start a Reservation Now! Click Here! Blast Party Rentals is a family-owned business serving your rental needs throughout New England for nearly 10 years. 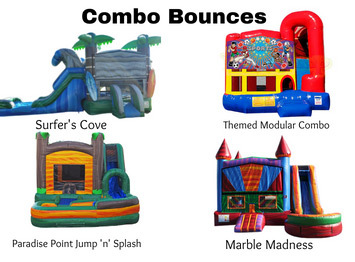 We offer top-quality bouncy house inflatables - mechanical bulls, photo booths, water slides, obstacle courses, interactive games such as jousting or giant boxing; the list goes on and on! Blast Party Rentals also has inflatable slides, waterslides, carnival games, and concessions including: popcorn machines, sno-kones and cotton candy. So whatever you want to call them...give us a call or reserve on-line. Project Graduation, company picnics, Old Home Days, Lawn Fetes, after-prom, family reunions, and of course, birthday and backyard parties - NO event is too big or too small. 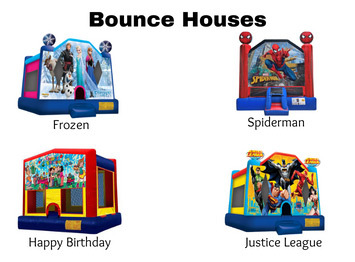 Blast Party rentals has the best selection of bounce houses in Maine and New Hampshire. 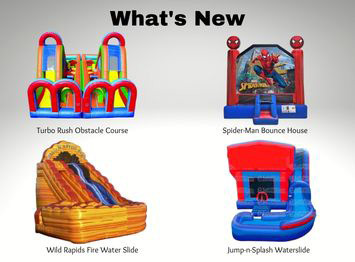 Visit this page for the newest inflatable games and water slides for party rentals in New England! 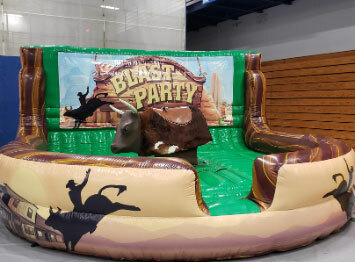 Rent a mechanical bull for your GRADUATION PARTY or corporate event! Blast Party Rentals is busy with indoor birthday parties and school events all winter. Join the fun. 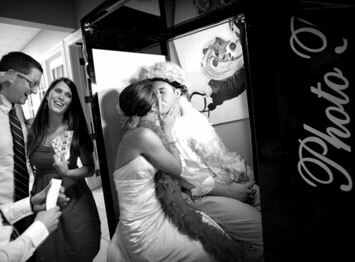 Graduation parties, wedding receptions, retirement parties; the list goes on for special events and celebration made extra special with a classic photo booth. It's never too soon to think of summer. 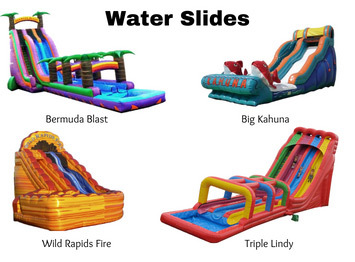 Book your giant inflatable waterslide for your summer party now. 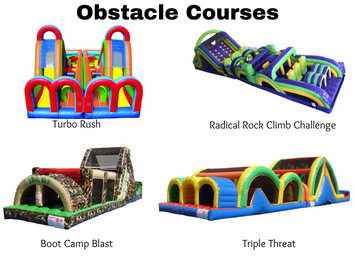 We have inflatable obstacle courses in every size, configuration, and price range. You can set them up for indoor or outdoor parties. 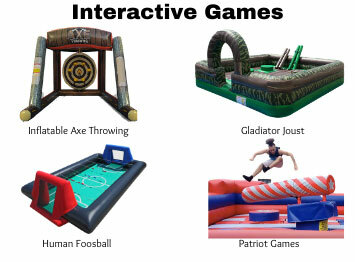 Rent from our huge selection of interactive party games - and we really do offer something for everyone.